The latest Yahoo Sports MLB Power Rankings that pushed the New York Yankees to #1 were a bit premature. 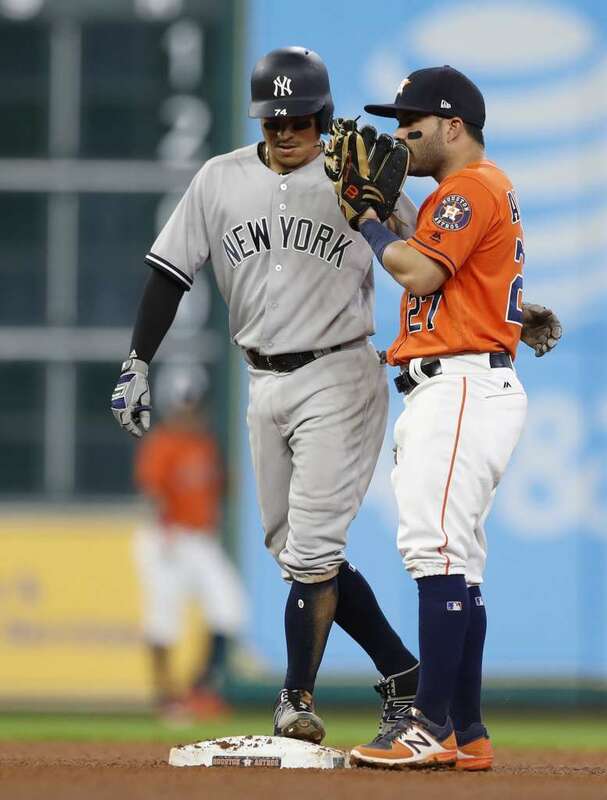 These Yankees are not quite up to par with the high flying Houston Astros (who were ranked #3). 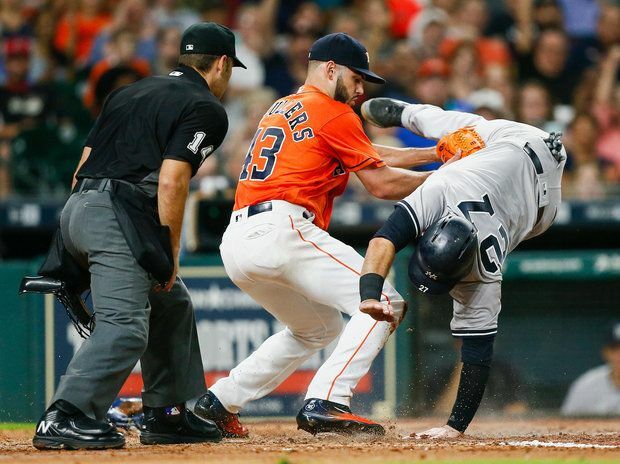 Two games does not a season make, but the Yankees haven’t exactly shown they can hang with the Astros so far in this series. 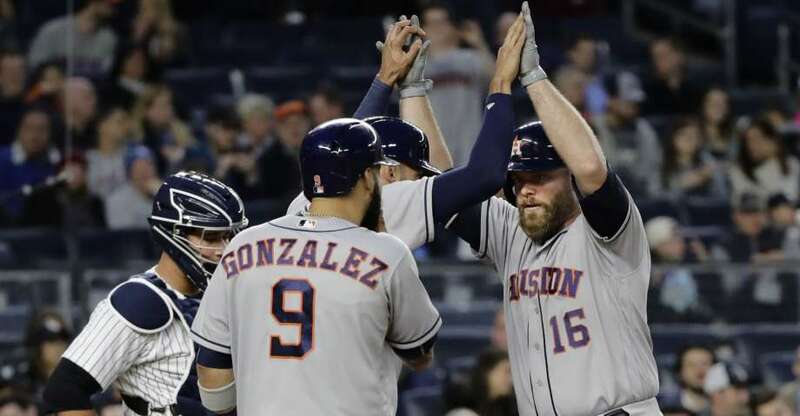 The Astros seem to have every answer and it appears that both Brian McCann and Carlos Beltran have found themselves on the right side of the equation. Right now, the two best teams in Baseball are the Astros and the Washington Nationals (even with their bullpen problems). The Yankees have two games to right the ship. They can prove that they can play with the Astros, just not with pitchers named Keuchel or McCullers. Today’s game has been postponed due to inclement weather so the Yankees will play a double-header tomorrow for the joint Derek Jeter’s and Mother’s Day. It’s single-admission entry so only Sunday’s ticketholders have seats for the Derek Jeter ceremonies. Saturday’s ticketholders will be able to exchange their tickets for future games. The Bronx weather forecast calls for a 60% chance for rain tomorrow which falls to 20% by evening. The first game is expected to start at 2:05 pm. 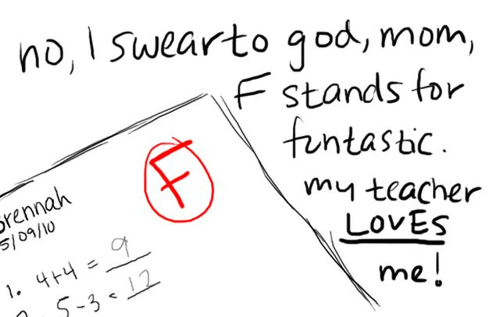 Hopefully we’ll be listening to Frank Sinatra singing New York, New York by the end of the day. Yesterday’s game was not pretty. 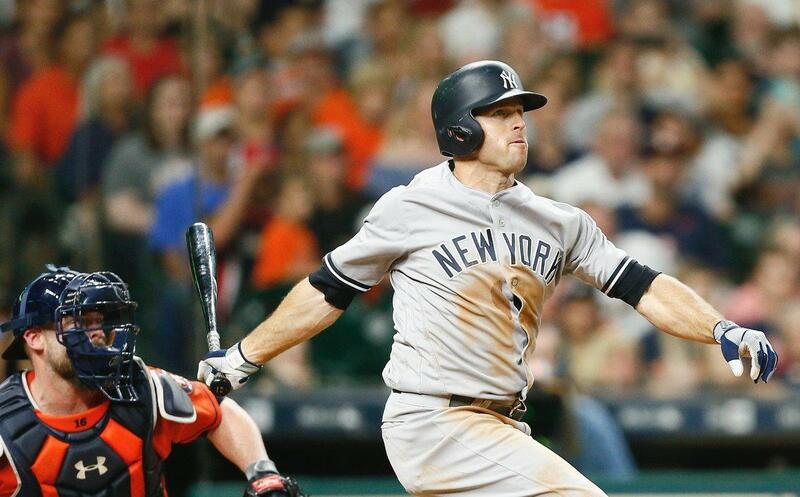 Brian McCann set the tone early with his three run homer off Jordan Montgomery in the fourth inning. The ball traveled just inside right-field foul pole into an area that McCann has frequently deposited pitches. 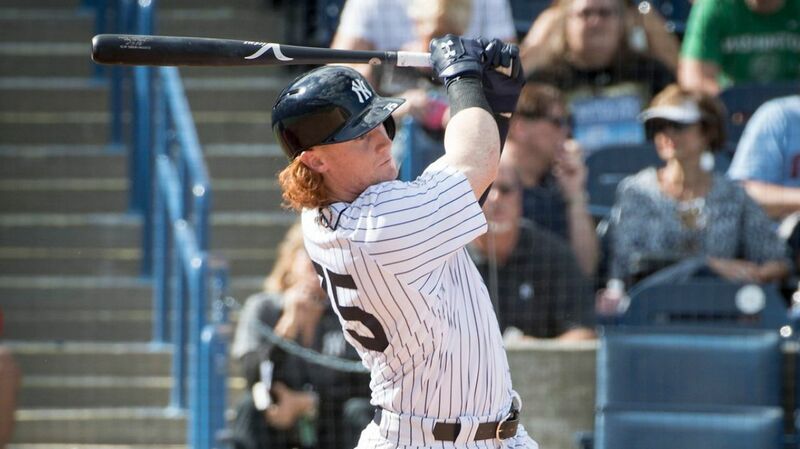 As a guy we once cheered for, McCann is becoming a thorn. He caught the pitch that nailed Jacoby Ellsbury at the plate to end Thursday’s game, then he launched the deciding blast yesterday. Lance McCullers, Jr showed why he is one of the great young talents in the game. 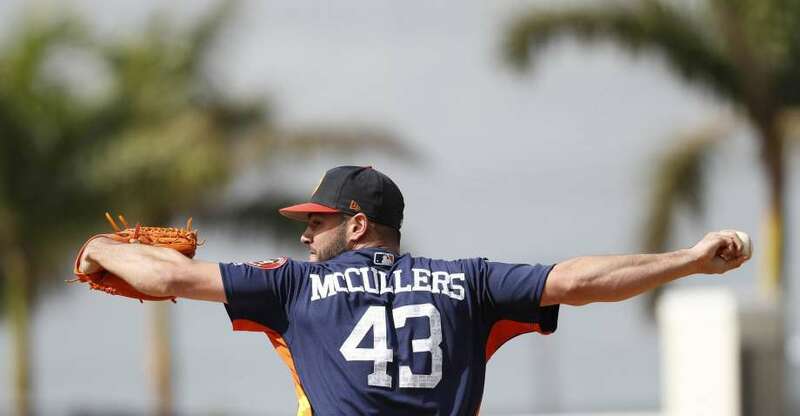 It was eery when the TV telecast showed a comparison of his dad pitching for the Yankees and then the younger McCullers. They are very similar with their pitching motions and release. Young Lance went six innings, holding the Yanks to four hits and no runs. He showed excellent control with no walks, and struck out seven Bombers (although Gary Sanchez was the most frequent contributor to those K’s). The Yankees scored a run in the ninth inning on a two-out RBI single by Didi Gregorius, but it was too little, too late. Ronald Torreyes struck out to end the game. I felt bad for Jordan Montgomery. Remove the McCann homer, and he didn’t pitch that badly. He did register 7 strikeouts, but the final line in six innings was not pretty. 8 hits and 4 runs saw the elevation of Montgomery’s season ERA from 3.81 to 4.19. 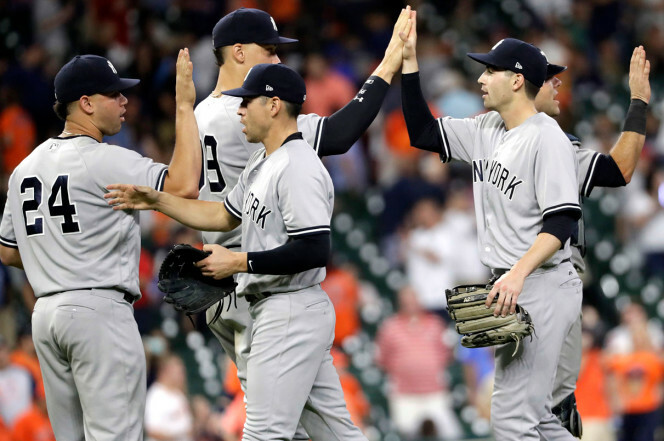 As for the bullpen, Jonathan Holder and Tyler Clippard continue to show that the arms in front of Dellin Betances and Aroldis Chapman are very strong. Aroldis Chapman, on the other hand, is cause for concern. Chapman only lasted two-thirds of an inning in the ninth when he allowed three hits, including a two-out RBI single to Josh Reddick. 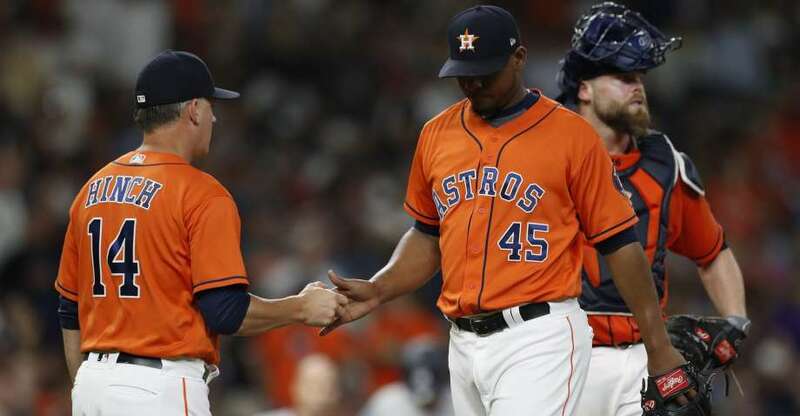 With shades of his poor performance in Cincinnati earlier in the week, Chapman couldn’t finish the inning after he gave up a single to Jose Altuve. Giovanny Gallegos, making his Major League debut, had to be called on to retire the Astros (he induced Yankee killer Carlos Correa into a fly out to center). 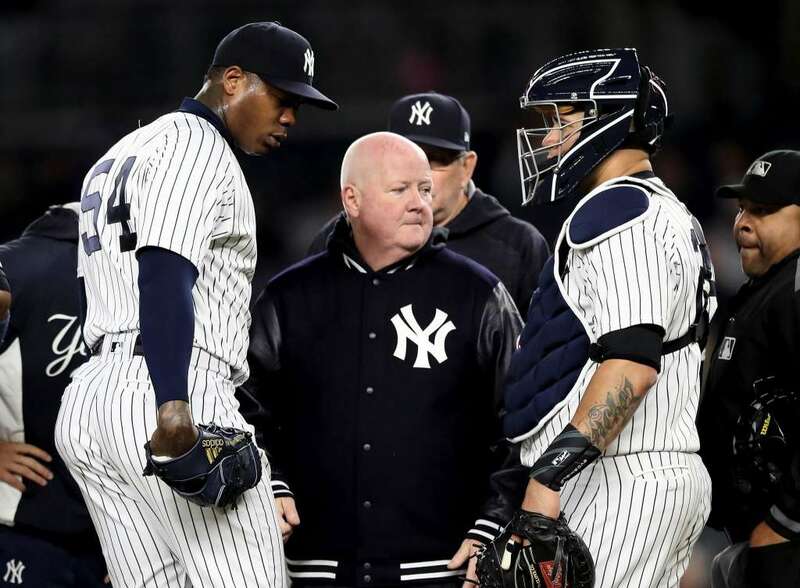 Hopefully this is just a temporary funk for Chapman and he is not seriously injured. Despite the loss (their third in a row), the Yankees (21-12) remain a half-game behind the Baltimore Orioles in the AL East as the O’s fell to the Kansas City, 3-2. The Boston Red Sox tried unsuccessfully to rally against the Tampa Bay Rays and lost 5-4, so there was no movement at the top of the division standings. Chance Adams is getting closer to New York. You can feel the rumble. 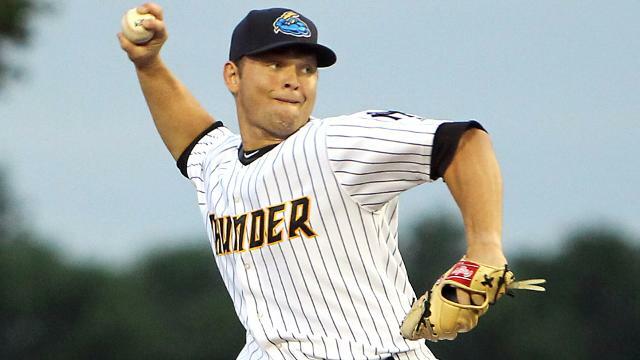 On Friday, the Yankees promoted the 22-year old right-hander from AA-Trenton to AAA-Scranton/Wilkes-Barre. In six games for the Thunder, Adams was 4-0 with a 1.03 ERA. 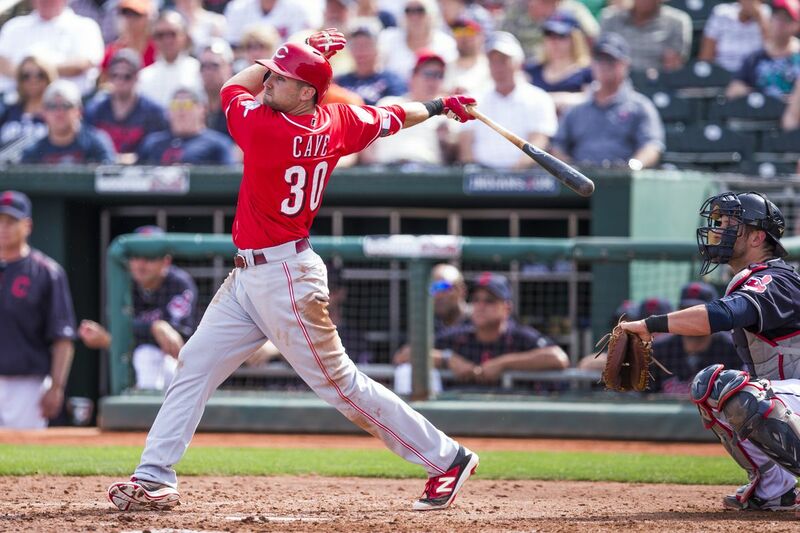 In 35 innings, he has only given up 23 hits, 6 runs (4 earned), 2 HR’s, and 15 walks. He has also sent 32 batters muttering to themselves as they walked back to the dugout after strikeouts. There’s no doubt we’ll soon be taking a chance on Adams in the Big Apple in the not-so-distant future if he keeps pitching like this. Given that he’s dominated every level, there’s little doubt that AAA is his next victim. 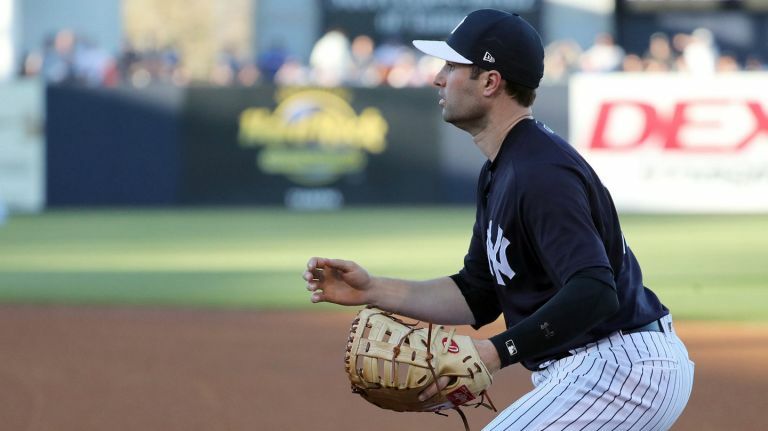 The word is that Tyler Austin will begin playing rehab games soon. 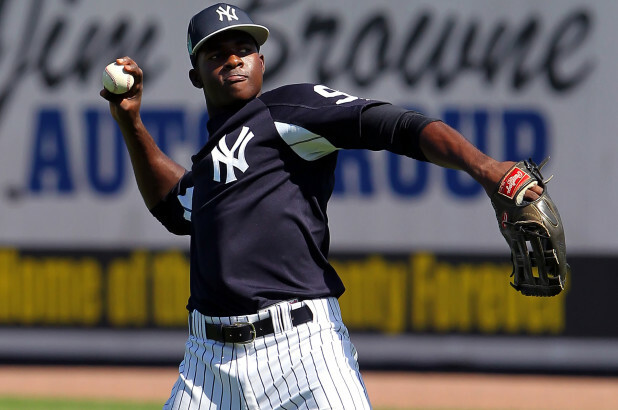 So, when he is ready, the Yankees have decisions to make. They can send Austin to AAA or they can bring him to the Bronx. If he arrives at 161st and River and starts making solid contributions, Chris Carter is going to become obsolete. I do not see a need for Carter once both Austin and Greg Bird are healthy. If Carter was at least demonstrating some of the power that led to 41 home runs last year, it would be one thing but he’s not. He’s a one-dimensional player that isn’t exactly tearing it up in his one dimension. I think Carter needs regular at-bats to get into a groove but the Yankees are not going to afford him that opportunity (nor should they). The team would be best served by flipping Carter to another team for some spare parts. Have a great Saturday! Stay dry and keep your fun and excitement at an all-time high!